… Qimen Hao Ya, from the Qimen region in the Anhui Province in the southeast of China. Heat the water to 90°C, 10 in 500ml water, and leave to infuse for 5 minutes. … A soft cheese with a washed rind from Thiérache: Maroilles AOP. Le Liege syrup, a concentrated syrup made from pear, apple and date juice. 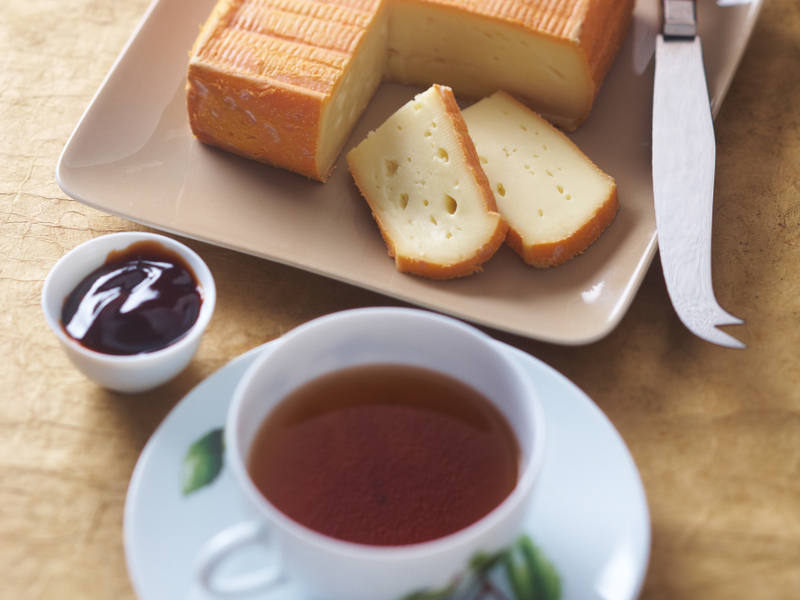 The soft, creamy character of the cheese subtly mixes with the tannins of the tea with their notes of leather, wood and cocoa. The Liege syrup, with its dense, highly aromatic texture and notes of caramelised fruits, enhances the pairing.